Rome is the city depicting medieval and ancient landmarks. By visiting the place, you can learn about the ancient reign of Rome, look at what happened during the dramatic decline of Rome as well as explore how the Rome rejuvenated itself during the Italian Renaissance. 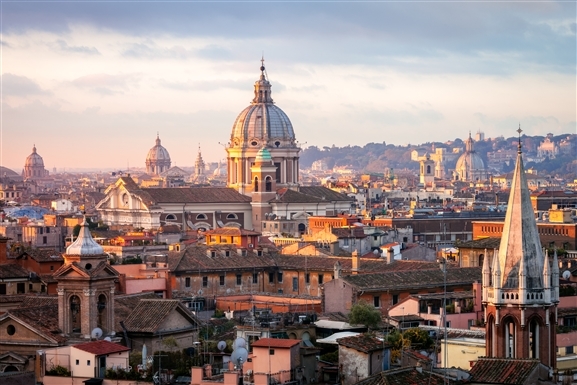 Rome, aka the Eternal City, is renowned for its romantic atmosphere, beautiful plazas, and superb art scene. The place houses over 900 churches and is home to various ancient attractions and museums. It has under its wings a lot for every traveler visiting here. The Colosseum is the major place to visit in Rome. It is over 1900 years old Roman landmark. If you miss it, you will miss the true experience of travelling to Rome. Apart from this, there are many must-watch place of Rome that includes the Vatican, Trevi Fountain, Spanish Steps, the Piazza Navona, Quirinal Palace, the Pantheon, Roman Forum, the Altara Della Patria Monument, and then some. Winter months are considered as the best time to visit Rome. If budget is the concern for you then we would recommend you not to book flight tickets in the holiday season. To avail cheap flight bookings to Rome, you are suggested to travel in the months October to March. At this time, you can wonderfully explore the place in fewer budgets comparative to other months of the year. Are you seeking some cheap flights to Rome from your current destination? Fare To Fly is there to help you. W e offer major discounts and best flight deals for the flights to Rome. Hurry! Grab the offer now by booking your ticket with us!